Booklet contributors with editor at the booklet launch. Left to right: Jim Parsons, Don Case, Katie Harvey, Berk Reynolds, Art Kelloway. Photo courtesy The Compass. On Tuesday I travelled to Salmon Cove to launch the latest booklet in our Oral History Roadshow Series titled Down in the Sands: Boyhood Memories of Salmon Cove. 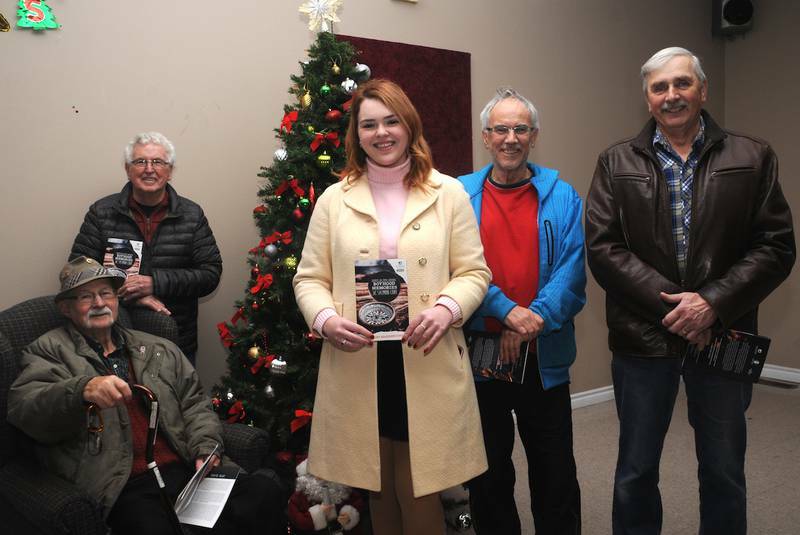 This is the fourth booklet in this series and it focuses on the memories of five men who grew up in Salmon Cove. The booklet was well-received, and copies are flying off the shelves. If you would like to download a PDF copy of the booklet, click here.